We are here to help your child get through a busy day of school effortlessly. At this developmental stage, we expect our children to get ready in the morning, pay attention during school and, participate in an organized after school activity. We expect them to get through the day without having a meltdown. We help them achieve their best level of success in any environment. My child gets therapy at school. Why does he need more? When your child receives therapy at school, it is considered educationally based services. What this means is that services are provided to address only those skills that are necessary for your child to be successful in his educational setting. Many times these services are provided in a group setting. The Center for Pediatric Therapy provides individualized medically based services. This means that intervention can address any area impacting your child’s ability to succeed. It is often appropriate for your child to receive both educationally based and medically based services. My child hates to write? What can I do? Why does my child struggle with group sport activities? Participation in group sport activities is a multi-sensory experience that requires the integration of many skills. If your child has difficulties with overall coordination, timing and sequencing of motor tasks, performing in a group sport may be extra difficult. Or, if your child struggles with underlying sensory processing difficulties, the additional sounds, sights and unexpected touch that often happen during activities may be too overwhelming. An occupational therapist may be able to help determine why your child is struggling. 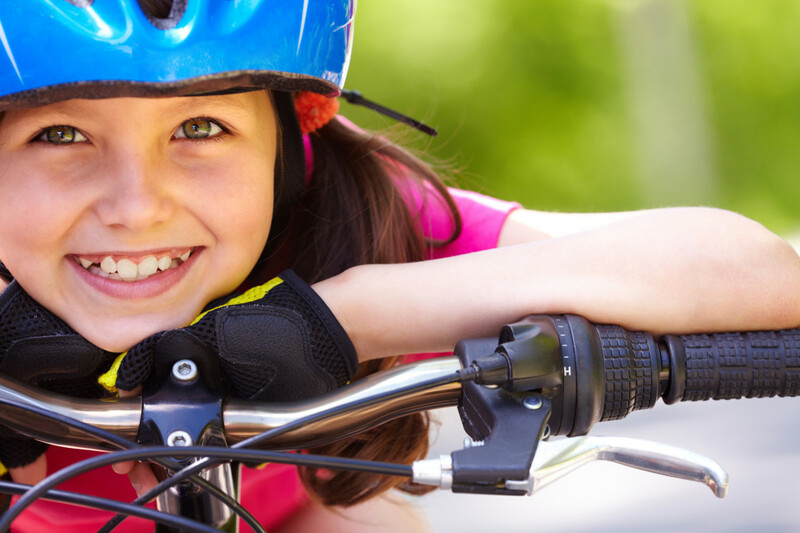 Bike riding requires the integration of many skills for success including balance, bilateral coordination, visual motor coordination, motor planning and vestibular processing. If your child struggles with one of these underlying component areas, riding a bike may be a stressful and challenging skill. Why is my child’s desk a mess? Organization of materials can be a challenging skill for some children. If your child struggles with organizing, it can indicate difficulties with motor planning (physical planning, sequencing, and organization of items in the desk), visual processing (noticing differences between colors/shapes/patterns of materials, seeing an image with a competing background), or executive functioning, (the “master control” for all higher-order and basic information processing skills). An occupational therapist can help you determine why your child is struggling. Why is my child forgetting to bring home his school work? There are many ways that homework can go wrong. A child needs to know what assignments are due and when, gather the appropriate books/materials, follow the directions, complete all parts of the assignment, review their work, get the work from school to home and back again, and turn the work in on time. If your child continuously struggles with some or all of these areas, he may have difficulties with executive functioning, (the “master control” for all higher-order and basic information processing skills). Why isn’t my child speaking clearly? Articulation difficulties are when a child has trouble producing and forming sounds accurately. If you find that listeners are unable to understand what your child is saying, an evaluation may be appropriate to determine if this is typical for development or a language delay. Some sound substitutions are common in language development. Our speech-language pathologist is happy to discuss any concerns. Children who have a speech-language disorder may have difficulty with overall communication with peers and adults. This affects their ability to be successful in school because learning takes place through communication. Speech and language skills are necessary for academic success and learning. If your child is having difficulty with overall communication skills, then you may want to contact a speech-language pathologist to discuss concerns. Why does my child struggle with certain daily routines? Executive functioning and efficient sensory processing are required for many activities of daily living. If a child struggles with executive dysfunction, sensory defensiveness, sensory modulation disorder or motor planning difficulties, basic routines of getting ready in the morning and out the door, completing basic self-care, and completing household chores are a challenge. How can an outpatient speech-language pathologist help my child in the school setting? A speech-language pathologist who works in a private, pediatric setting works on skills that are necessary in school such as developing skills for retelling events/stories, responding to questions, describing figurative language, vocabulary development, and working on specific social skills. The speech-language pathologist can collaborate with school staff to ensure that treatment is targeting the specific needs of your child. Why does my child continue to put things in his mouth? We all expect to see younger children put objects in their mouth. However, when we see a school age child chewing on his collar or shirt sleeve, or chewing the end of his pencil so much that tooth-marks are embedded, we may wonder. Some children, and adults, regulate themselves orally, it can be a calming/organizing input. It’s likely your child continues to put things in his mouth in an attempt to organize his sensory system and maintain regulation. Why does my child struggle changing clothes seasonally? It is common for a child to have a favorite outfit or preference for certain types of clothes. If you find that your child is overly particular about how clothes feel, refuses to wear certain items consistently, complains often about how his socks feel, or resists wearing seasonally appropriate clothing, this may indicate a sensitivity to tactile input and may warrant a consultation with an occupational therapist. Why is my child easily frustrated? Growing up can be a frustrating experience for many of us. Do you find that your child is frequently frustrated and allows what appears to be an insignificant event trigger an extreme emotional response? Or, when your child becomes upset, does it take him a long time to recover? If so, further investigation by an occupational therapist is appropriate. Some children have sensory regulation difficulties resulting in rapid fluctuations, from contentment to anger, which an occupational therapist can help determine. Difficulty communicating can be another reason why your child may be easily frustrated; a speech-language pathologist would be able to help in this case. Other times, it may be appropriate for a psychologist to evaluate your child to be sure there are not any other underlying areas of concern. Please see Getting Started or Contact Us if you would like to set up an evaluation.